Whether it’s Twitter’s expanded character count or Facebook’s live streaming feature, social media platforms are always evolving to find new ways to appeal to users and engage a broader audience. Their efforts seem to be working, as average time spent on social networks continues to rise. Data compiled by marketing agency Mediakix shows that people now spend about 2 hours a day on social media. That adds up to about 5 years and 4 months during a lifetime. That amounts to more time than we’ll spend in our lifetimes eating and drinking, grooming, socializing or doing laundry. By comparison, it’s estimated we’ll spend 7 years and 8 months watching television, Mediakix data shows. But as viewing options become more mobile and migrate online; and as people turn to streaming content and social channels, the share of our time with traditional television is expected to decrease. Nielsen data shows that traditional TV viewership among 18- to 24-year-olds has dropped 43.6 percent since 2012, to about 12.72 hours per week in 2017. The top three social networks for average daily time spent, according to the Mediakix data, are YouTube, 40 minutes; Facebook, 35 minutes; Snapchat, 25 minutes; Instagram, 15 minutes; and Twitter 1 minute. Over a lifetime, by network, that’s 1 year and 10 months on YouTube; 1 year and 7 months on Facebook; 1 year and 2 months on Snapchat; 8 months on Instagram and 18 days on Twitter. 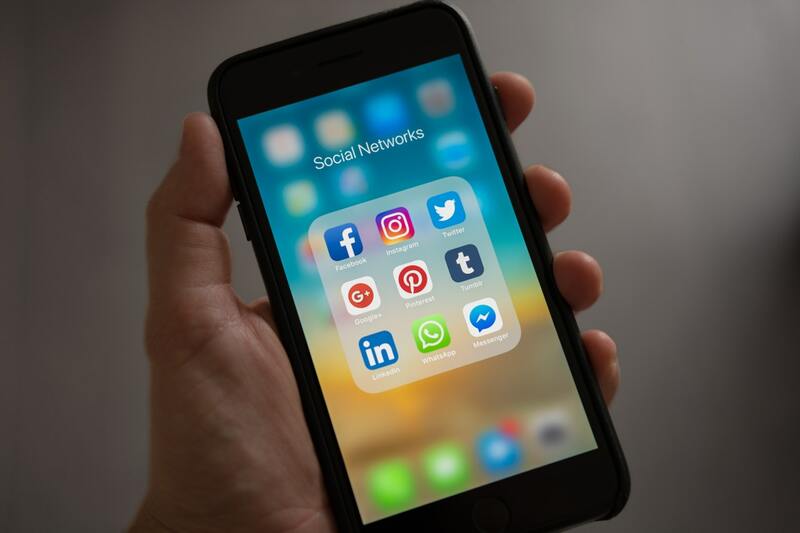 Facebook leads social media platforms with more than 2 billion monthly active users; second is YouTube with 1.5 billion; WhatsApp has 1.3 billion; Instagram, 700 million; Twitter, 328 million and Snapchat, 255 million, according to data from Smart Insights. The average user has 7 accounts across the various platforms. An interesting side note from a separate study: Data from Marketing Land shows that 80 percent of the time we spend on social media is on a mobile device. More than 50 percent of YouTube views come from mobile devices. Overall, total time spent online, whether via PC, laptop, tablet or mobile device climbed from 5.5 hours in 2012 to 6.5 hours in 2016, data from Global Web Index shows. Not only is social media a vehicle to directly gain customer insight, but you have a way to increase your brand awareness and build loyalty with customers. Social media also creates another avenue to your website. Your social media presence is a significant factor for how Google and other search engines calculate their rankings for your website. Social media is also a powerful advertising tool. These platforms are a growing factor in how customers make a purchase. Customers are increasingly following brands on social media to make more informed buying decisions. With social ads, you can advertise your business on the websites your customers visit. Targeted ads can be placed where your customers are searching online. Optimized display ads have the power to get your message in front of the right consumer. Customers connect with brands for many reasons, including finding out about new products, to look at newly-launched offerings, to get ideas for future purchases, to find inspiration for gifts and to keep up with trends. Compelling content that demonstrates your value is catching the attention of customers. Brands that engage their audience by encourage feedback in the form of likes, comments and shares are attracting customer attention. Data from Selfstartr shows that 68 percent of Instagram users and 32 percent of Facebook users say they engage brands regularly. Engaged followers have an average order value of $65 through Instagram and $55 through Facebook, the data shows. According to statistics from Word Stream, 93 percent of Pinterest users use the platform to plan or make purchases. The site drives 25 percent of all retail website referral traffic. Social media is only expected to grow, and with it, consumer preferences. Marketing Sherpa has found that 46 percent of millennials rely on social media when making a purchase online. As many as 74 percent of shoppers make buying decisions based on social media content, Sprout Social says. Brands are paying attention to this shift by customers, with ad spending projected to be $14 billion in 2018. As these platforms evolve, so will marketing strategies, as companies aim to stand out to users and target their products and services. In a survey of 500 marketers by IEEE GobalSpec Media Solutions, nearly 60 percent said they’d increased their budgets over the previous year to ramp up marketing spending for social media, content and their website.